I am always looking for toys that keep my boys active outside. My boys love going to the park, but at age 7, 8, and 15 the slides and swings are getting boring for them. The teenage loves to skateboard but the younger ones are still learning how to use a skateboard. 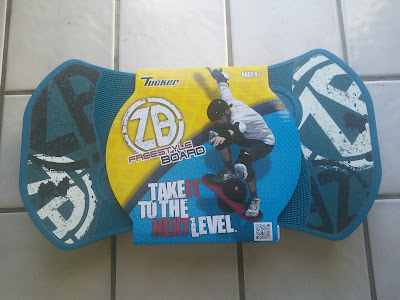 So when I saw the ZB Freestyle Board at blogging conference this past July, I just knew that my boys would love it. 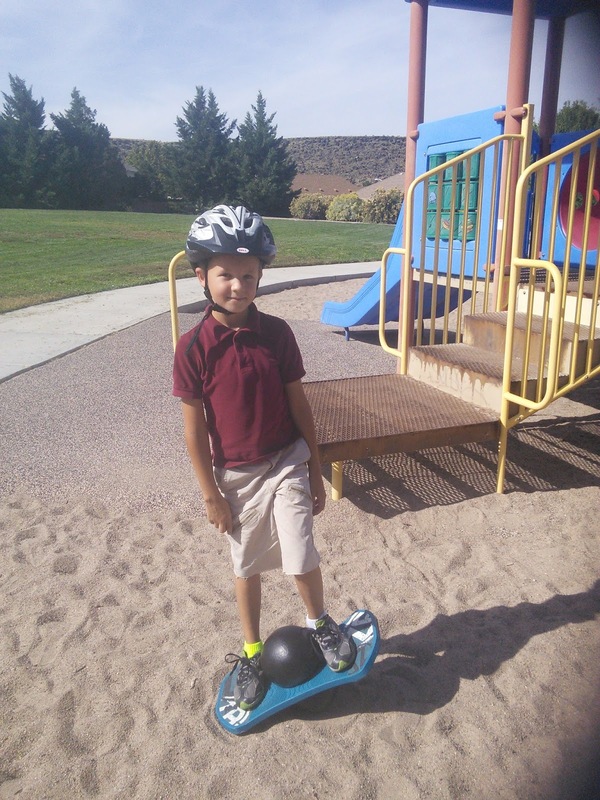 This cool toy is a cross between a skateboard and a pogo stick and is just plain fun. The Freestyle Board, made by Tucker Toys, has a ball in it that allows kids to do things like jumping and flips. It acts like a skateboard and allows kids to do unique style tricks. The cool thing is you can use it on most surfaces like grass, sand, cement, and skateboard ramps. So how does the Freestyle Board work? You simply place your feet on the board that has both grip tape and a texture surface on it. Then you place your feet near the ball and jump. Your feet hold the ball and allows you to pick up the board for jumping action. Then once you get the hang of jumping, you can move onto cool tricks just like kids do on a skateboard. Watch the video below to see the board in action. When this cool board arrived at our house everyone, including my husband had to try it. 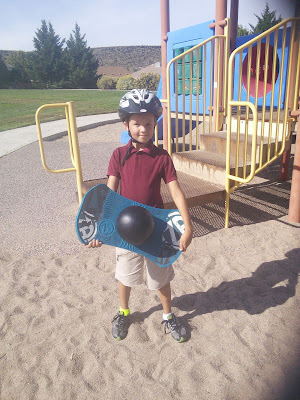 My teen was able to bounce the board right away while the younger boys had to keep trying. The younger boys would not give up and within 30 minutes they were bouncing. The Freestyle board is great for teaching kids balance too. It just invites kids to get on it and they get great exercise learning how to use it. I love that this board is great for all ages. The younger kids may at first just use the board for bouncing while the teens will use the board for skate board tricks. 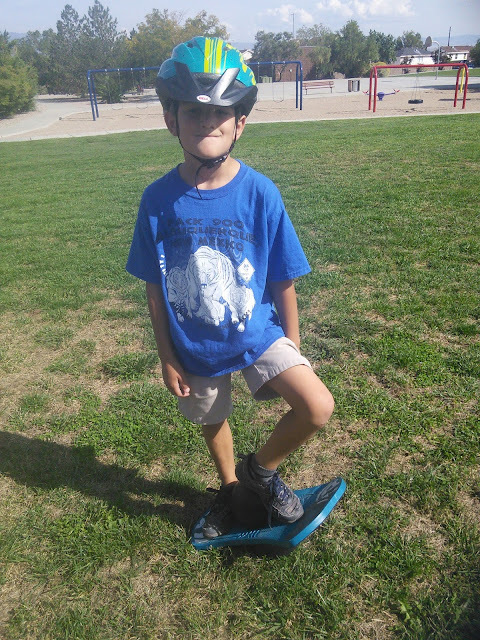 We took the Freestyle Board to the park and my boys had a blast playing with it. I took a video of my younger boys learning how to use the board. I think with practice they will get better. We also received another cool toy from the same company. 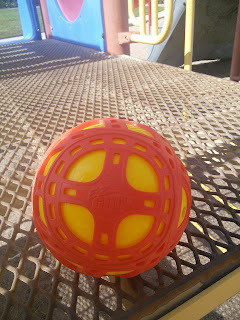 This toy was a fun ball called the EZ Grip Ball. 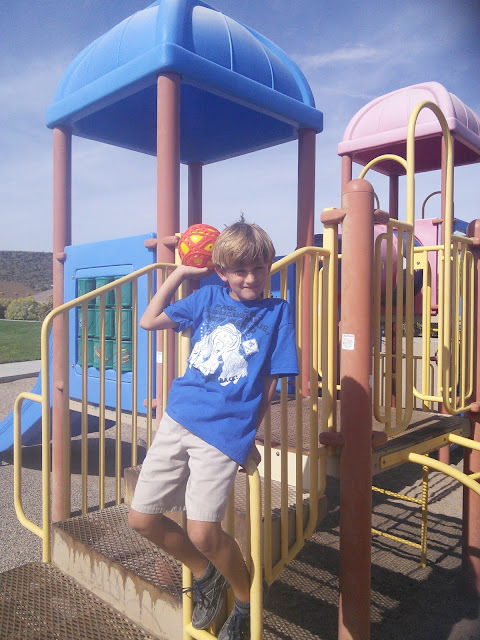 This ball has a high bounce like a super ball and bounces on any surface. You can bounce the EZ Grip ball on surfaces like grass, sand and water too. My boys can't wait to take this ball to their grandpa's swimming pool. The ball has a stretchy outer web that not only makes the ball easy to grip but also makes it very durable. This toy is great for all ages as the grip makes it easy to catch. My boys had a blast playing with this ball at the park. Running and catching the ball gave them great exercise. I also took a video of my boys playing with the EZ Grip ball so you could see it in action. So if you are looking for toys that keep your kids active, take a look at these toys. Visit the Tucker Toy website to get more information on the toys we received and other cool toys that they make. Oh that is SO fun! My boys would be fighting over this! I always wondered if those were hard to balance on. They sure look fun! This looks like so much fun especially the bouncy ball my little sister would love this and the balance board would help her with her coordination. Oh wow! This looks like so much fun! I know that my two daughters would really enjoy this! This would make a great Christmas gift for them! Anything that will get the kiddies outside to play and exercise is a good thing! This looks like so much fun! I'm not sure how well I would do at this, but I think my son would get a huge kick out of it! It looks like a lot of fun. I bet my kids would love this and it is perfect for them to have a exercise instead of playing computers all the time. This is so cool. My son would totally love this. I don't think I could try this, though. Looks hard to balance on, but would keep the kids occupied for hours. Great xmas gift idea. These look like a lot of fun for coordinated kids, I like that ez grip ball! Oh, wow, he is good and seemed to have loads of fun! That looks like so much fun! Love to see toys like that, that actually make the children active. So much better than any video game! That's a cool board. From my understanding, it's like a modernized pogo stick! Awesome! This so cool! I know a few boys who would really like this!! Ok - this is AWESOME!! I can totally see my son loving something like this when he's older! This would be great exercise for any kid. My nephews would so love this board. I will have to share this with my sister and niece. It would make for a great gift too.